No matter how organized the home, just about everyone has clutter hot spots. Here’s the thing about clutter hot spots: if you make a point to keep them under control, you’ll find your entire house stays cleaner and more organized, too. 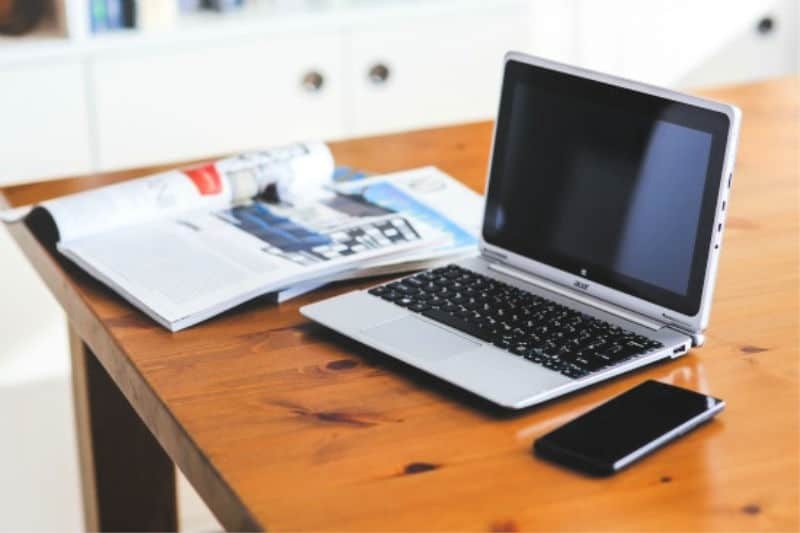 What Causes Clutter Hot Spots? The reason that taming clutter hot spots has such a profound effect on the rest of your home is best explained by the broken windows theory. 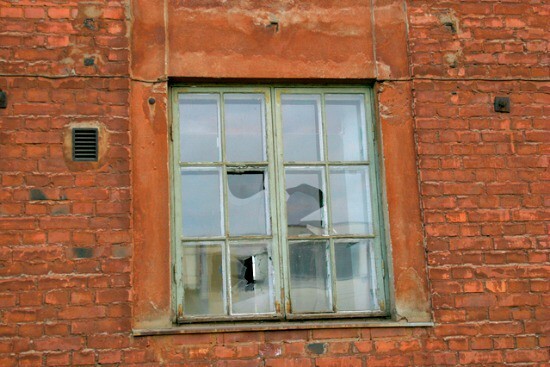 This theory, based in criminology, basically says that ignoring something minor like a broken window leads to further acts of vandalism and destruction. On the other hand, promptly tending to broken windows keeps the area more law-abiding and orderly. That’s one reason Home Owners’ Associates (HOAs) are so rigid about enforcing their rules: it helps reduce crime. The same principle applies to clutter hot spots: allowing a mess to accumulate leads to more messes throughout your home. Policing your clutter hot spots helps keep the rest of your home in line, too. 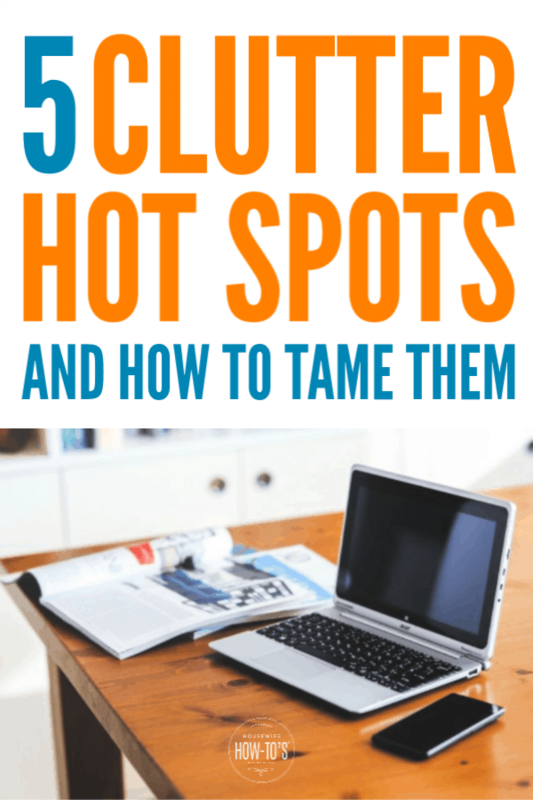 The first step is identifying your clutter hot spots. Once you know where to enforce no-clutter zones you need to patrol them regularly once or twice a day during times when the potential for clutter activity is at its highest. Nab any offending things you find and put them in clutter jail. Why it’s cluttered: Most of us come home through a door off the garage or mudroom that feeds into the kitchen. 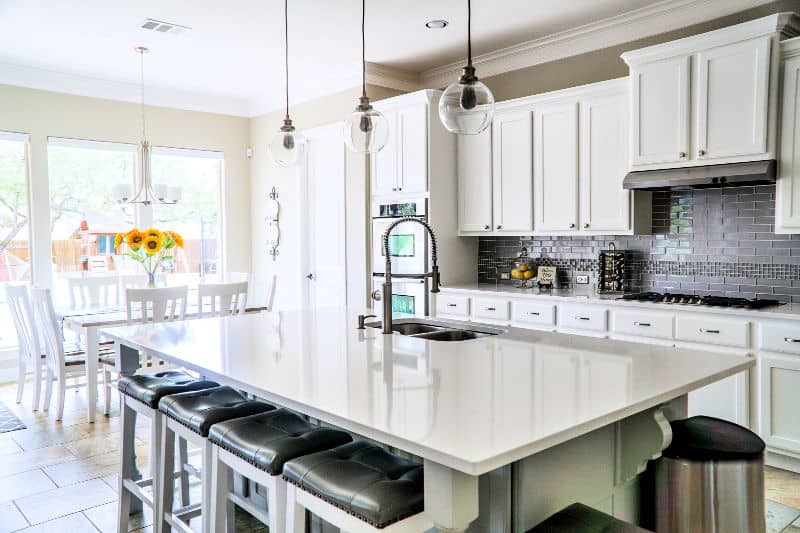 Between this layout, and peoples’ tendency to congregate in the kitchen (they don’t call it the “heart of the home” for nothing), counters are major clutter hot spots. How to get rid of the clutter: Clear the counters. Use kitchen organization tricks to find space for mail and keys, and to make room for gadgets and small appliances. Organize your pantry so you can move canisters and foodstuff into it and leave your counters relatively bare. Enforcing the No-Clutter Zone: Police this area twice daily. Patrol after school or work, so things don’t get dumped on the counters. Do it again before bed and put away everything left out, so you start the next day with clutter-free countertops. Why it’s cluttered: Using the kitchen or dining table for homework, playing games, or doing crafts creates lots of opportunities for clutter to pile up. How to get rid of the clutter: A bare kitchen or dining table is a convenient landing spot for things people don’t feel like taking time to put away. Pay attention to that word “bare” — it’s why this is a clutter hot spot between meals. An easy solution is to keep the table permanently set: return placemats, plates, and tableware to the table after each meal. Set up a study space for your child to do homework elsewhere, and use that for crafts, too. Enforcing the No-Clutter Zone: If you absolutely must use the table for activities, have everyone put away things before meal times — not just move them aside — then police this area after homework or craft sessions. Why it’s cluttered: People tend to be in a hurry leaving the bathroom, racing off to school or work. They often figure they’re going to use the toothpaste, hairbrush, moisturizer, etc. later that evening, so why put it away? The result is a bathroom vanity that looks messy and is difficult to clean. 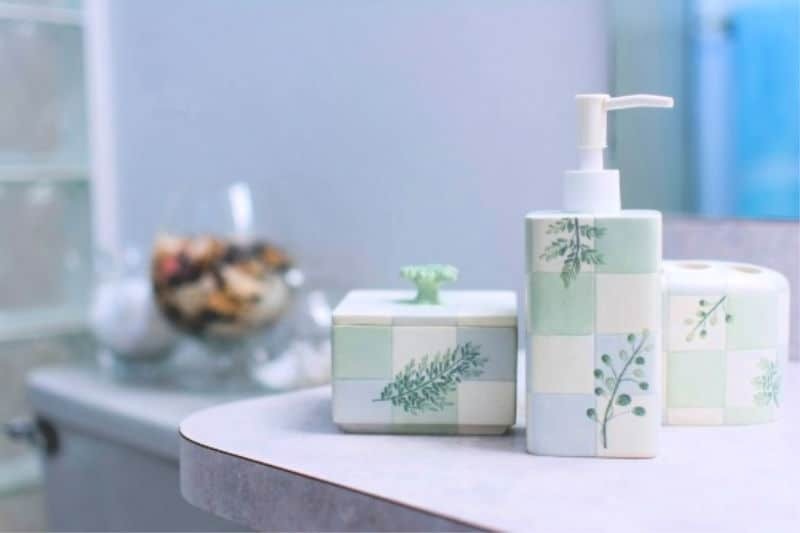 How to get rid of the clutter: Purge your bathroom of expired or unwanted products, so there’s room to put things away. If possible, give everyone their own bathroom drawer so they can simply sweep items into it rather than having to put different things in different places — an irritation that keeps people from putting stuff away at all. If you’re short on space, look into clever bathroom storage solutions. Enforcing the No-Clutter Zone: Police this area twice daily. If you’re a stay-at-home parent, after the kids are at school is a great time. Working parents may find it easier to patrol when everyone gets home. A second patrol after the kids’ bedtime gets the vanity clear and ensures they start the day knowing things don’t belong sitting out. Why it’s cluttered: A comfortable chair in the bedroom looks attractive, but it often becomes a clutter hot spot. Laundry piles up, as do purses, coats, and even wet towels. How to get rid of the clutter: If you don’t routinely sit in your room, get rid of the chair. Think that corner of your room looks too empty without it? Put a silk tree, or even a corner electric fireplace/TV stand there instead. Enforcing the No-Clutter Zone: Police this area right before going to bed. Time yourself while doing it for the first few nights and you’ll see it usually takes less than five minutes. Next time you’re tempted to ignore the pile of clothes on the chair, remember how quickly you can put them away. How to get rid of the clutter: Provide a conveniently-located magazine rack to hold reading material. Stash toys in storage ottomans after playtime. Make sure you have ample shelves or media storage for movies and games. Place an attractive tray or small crate on the coffee table to house the remotes and to signal that this is no longer a clutter hot spot. 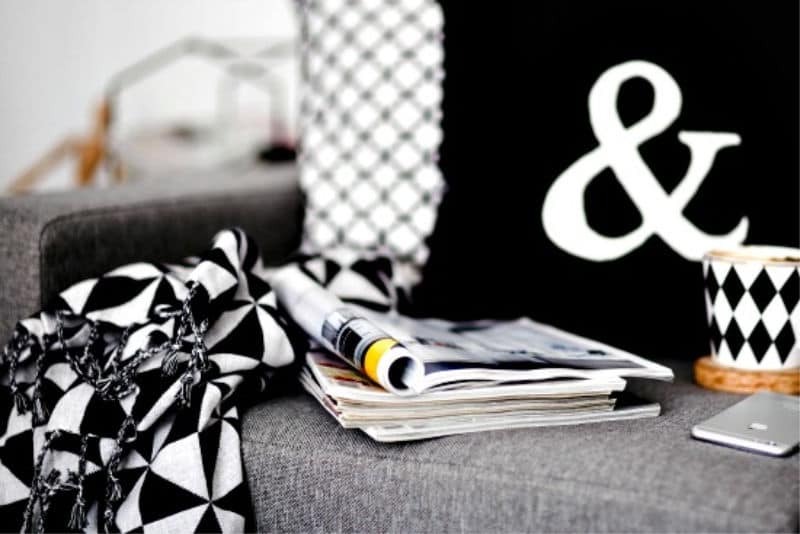 Enforcing the No-Clutter Zone: Patrol your coffee table before dinner and put away toys, games, etc. Patrol again before bedtime to make sure dirty dishes and other items are where they belong. 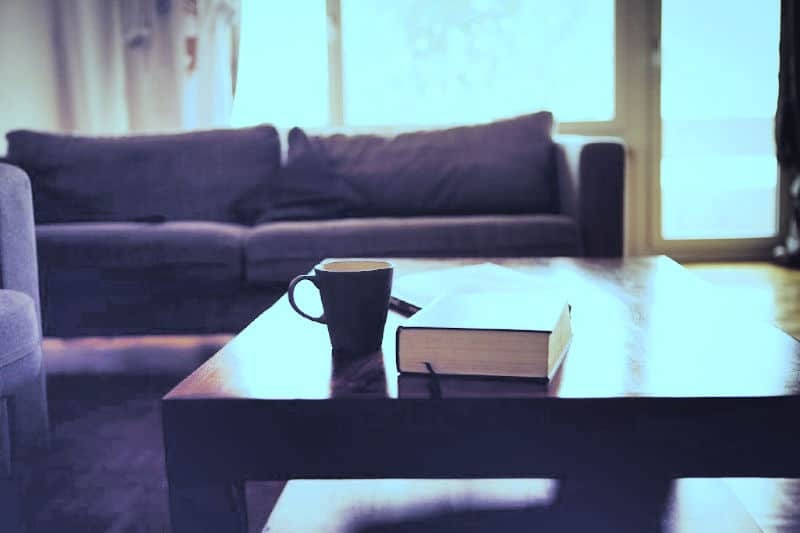 This way every day starts with a clear, clutter-free coffee table. When it comes to banishing clutter hot spots, you’re breaking old habits (by putting offending items in clutter jail) and establishing new ones (by creating designated spots where things go instead). This takes consistent patrolling of your clutter hot spots and zero tolerance for violations, including your own. Doing it as part of a daily cleaning routine helps. Since getting back their stuff involves doing chores that kids can do (or, for grown-ups, a few one-minute chores), “clutter jail” teaches that being lazy about putting things away leads to extra work. That’s a point that kids and sometimes spouses don’t often understand: clutter turns into extra work for someone, usually the person who does the majority of the cleaning. When you turn clutter hot spots into no-clutter zones the extra work shifts from the person who cleans house to the ones actually responsible for the clutter. It’s amazing how quickly kids learn to keep those clutter hot spots clear when they are the ones having to do the work! I am new to your site and I was trying to find a way to subscribe to your site, but unfortantly I’m having a hard time being able too. Can you help me please???? For years I have always made sure everything is put away at night before I retire. I could not sleep in our bedroom if anything was ledt out, no clothese on the chair, dressers neate and all jewery in it’s place. It takes me maybe 15 minutes after my husband goes to bed however so nice to wake up to a neat hoime the next morning. It really does make a difference in your mood when you wake up, doesn’t it? If I wake up to clutter, I start the day horribly grumpy and already stressed out.